Simple and linear, and at the same time hospitable and informal. 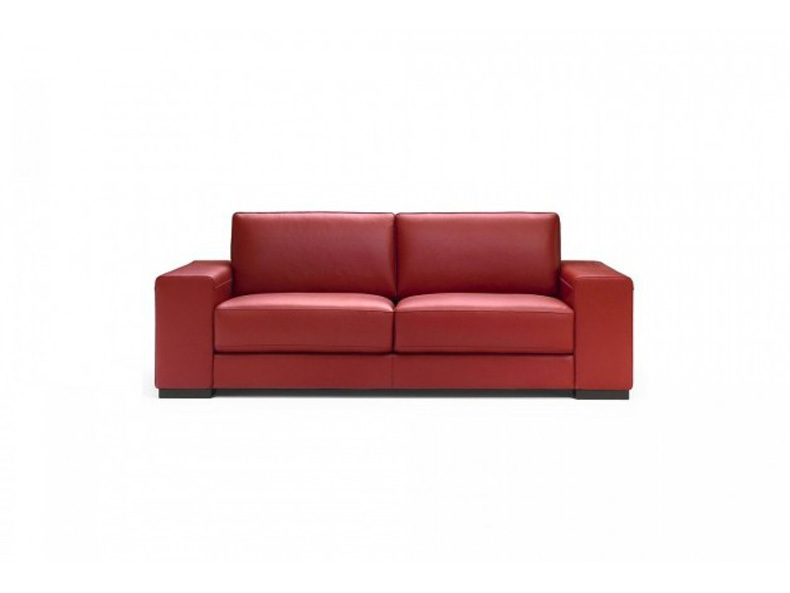 With its correct seat-to-backrest proportions, researched specifically for this sofa, Clark guarantees utmost comfort. The square-shaped armrest is simple and elegant. The seat cushions, panel backrest and foot are as well, and these details enrich the aesthetic effect. Optional headrest. Extremely versatile in terms of available set-ups and versions: two and three seater sofa, with or without bed, with optional chaise longue. In particular, the sleeper version adapts perfectly to body posture, and includes a very comfortable seat and the option of choosing between the classic spring mattress and the Greenplus mattress. Covering available in all leathers, microfibers and fabrics from Natuzzi's vast range. Also available with removable covering.